This is a foreign exchange guide to Laos, the Laotian Kip currency plus LAK transfers and travel tips. Laotian Kip exchange rates - latest & historic exchange rates. What is the Laotian Kip currency code and symbol? The three letter currency code for the Laotian Kip is LAK and the symbol is ₭. Is the Laotian Kip a closed currency? Yes the Laotian Kip is a closed currency. Which means that you may find it difficult to purchase the currency (LAK) before departure and will probably need to buy it upon arrival. If you do manage to buy some of the currency or have some left over from a previous trip, make sure you are aware if you are allowed to bring this closed currency into the country. Which countries use the Laotian Kip? It is the domestic currency in Laos. The interactive chart below shows the USD to LAK exchange rate for the previous 3 months with rate alerts for days when the exchange rate moved up or down significantly or for 30 day highs and lows. Laos retains many of the traditions that have disappeared in a frenzy of development elsewhere in the region. It's hard to believe somnolent Vientiane is an Asian capital, and there's a timeless quality to rural life, where stilt houses and paddy fields look like they are straight out of a movie set. Magical Luang Prabang bears witness to hundreds of saffron-robed monks gliding through the streets every morning in a call to alms, one of the region’s iconic images. Intrepid travellers will discover a country untainted by mass tourism and Asia in slow motion. 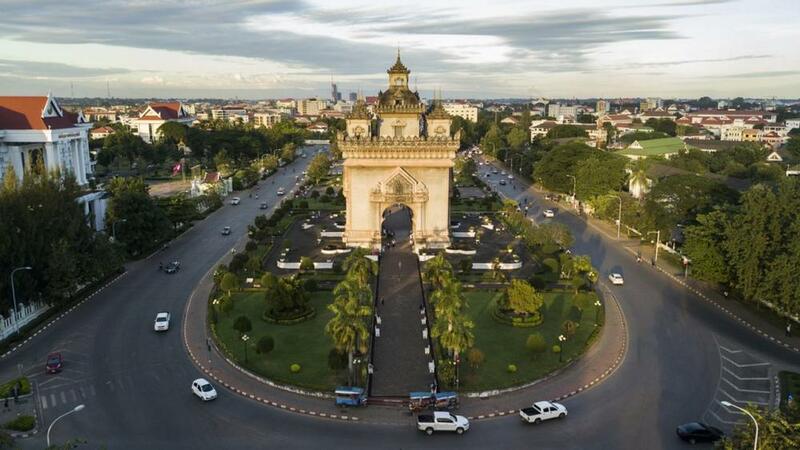 Patuxay or Patuxai Victory Monument, architectural landmark of Vientiane, capital city of Laos. What currency to use in Laos? US cash and Thai baht is commonly used for larger purchases. Kip is a non-convertible currency, meaning once you have left Laos, its useful only as wallpaper! Banks outside Laos will not accept nor exchange kip. International access ATMs dispensing US dollars can be found in most major tourist centres across the country. You will need to have USD20 for the Cambodian visa and USD30 for the Laos visa. (Don't forget to have your passport photos handy). Just check the cost for your Lao visa - prices vary a little depending on where you are from. You should use the ATMs for local currency (Kip). Some take USD, but not everywhere and local is preferred. Credit cards are not widely used - some very high end restaurants may have facilities but certainly no street restaurant will. River travel is one of the best ways to get around. How to get around in Laos? Public transport is relatively comprehensive and inexpensive, but very, very slow. Driving standards are woeful and seatbelts are close to non-existent, but speeds do tend to be slow. Motorcycle taxis are a very common way to get around. Don't expect the bus to leave on time, nor for your mojito to have enough mint in it. 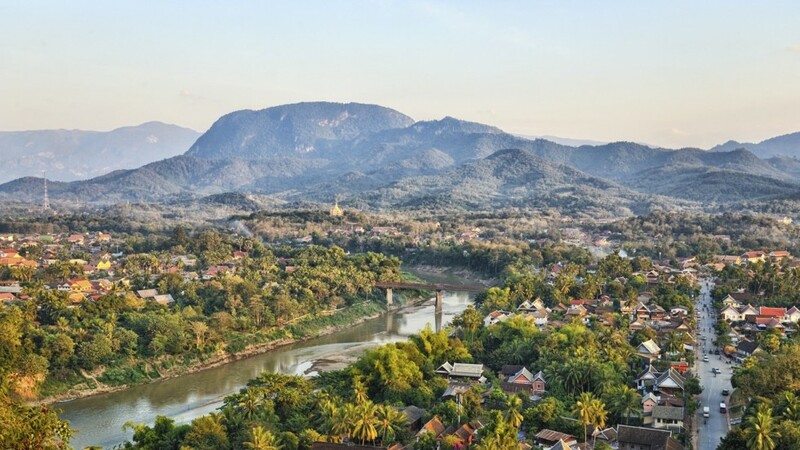 The tourism industry is developing and considerable resources are being poured into training, particularly in Luang Prabang. Outside of the main tourist centres, don't be surprised by the complete lack of tourist infrastructure. Don't let the slow buses put you off. Laos is a fascinating destination. It takes a long time to get around -- especially in the north -- so don't try to bite off more than you can chew. 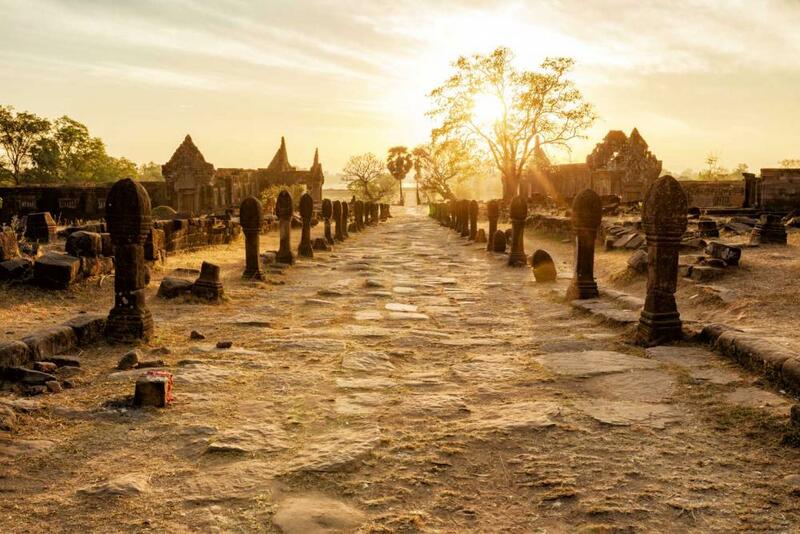 In Laos, less is more: See fewer places for longer stretches and you'll have a better time. With its dark and brooding jungle, glowing emerald rice fields, and the glistening tea leaves that blanket the mountains, the landscape in Laos changes shades of green like a chameleon. But it's not just the luscious landscapes that are green: when it comes to ecotourism, Laos is leading the way in Southeast Asia. Protected areas predominate in remote areas of the country, and community-based trekking combines these spectacular natural attractions with the chance to experience the 'real Laos' with a village homestay. As mentioned above, the Laotian Kip is a closed currency. Which means that you may find it difficult (or be permitted) to purchase the currency (LAK) before departure and will need to buy it upon arrival in Laos. For these types of destinations, using a pre-paid travel card is a good solution. As no travel cards support loading closed currencies like the LAK you will incur currency conversion or foreign transaction fees if you use a travel money card in Laos. When searching around for information on how to get a good exchange rate when sending money to Laos you need to start with finding out the latest Laotian Kip foreign-transfer exchange rate. Once your funds are received by the provider the converted LAK amount will be transfered to the recipient account you specify in Laos. Use our Send to LAK calculator to compare the exchange rates of FX specialist providers rates versus your bank's standard rates you can hopefully save around 5% and maybe more - end result is more Laotian Kip deposited into the recipient bank account and less margins and fees kept by the banks!